Size: 16 1/2" diameter approx. 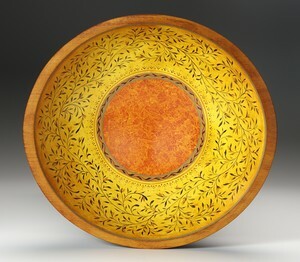 Handpainted & turned beechwood bowl. Also available in 14" dia. & simplified version in 12" diameter.